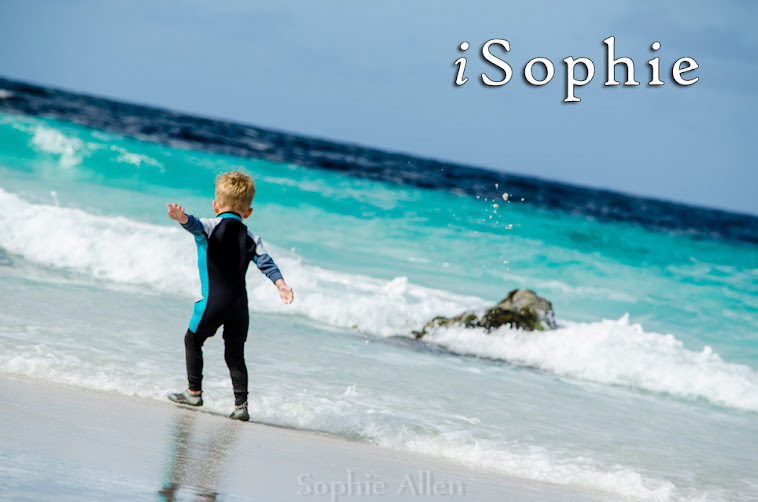 iSophie: Failing as a mother. Not me! Well, you didn't think it was me, right? I am referring to our feathered pets. Not all hens are cut out to be mothers. 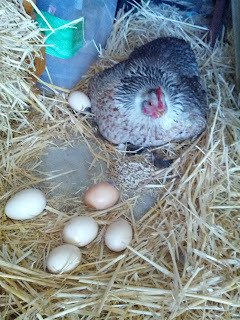 One of our hens, lovingly named 'Grey Chicken', repeatedly fails in motherhood. Not always her fault, but usually. The most memorable fail was her abandonment of 30 eggs she was incubating. She had gone off into the forest and found a highly (un)suitable spot to hoard a zillion eggs and be broody. She isn't one for conformity and hasn't once been broody in a respectably safe place, be it a stable.. or a coop. One rainy windy afternoon I heard a kerfuffle outside, chicken style. Now a chicken styled kerfuffle is quite a spectacle to witness. Chickens flying all around, a lot of flapping, and a whole lot of bocking. Not your everyday kind of bock either, a very serious scream bock. All of the chickens had escaped the beady eyes of a Brown Goshawk and retreated into the shed. "Bye bye babies! Good luck in life!" Said the Grey Chicken as she fled for her life. Under normal circumstances, after a quick bite to eat or a drink, she would go straight back to the eggs. But the Goshawk's freak them out so much they cower in the shed for hours. The eggs would be cold by then. So I did what any self respecting chicken rescuer would do. I collected the 30 eggs in the rain, fighting my way through the undergrowth and fallen trees, bringing them inside where I carefully marked them with a permanent marker and placed them in our incubator. Doesn't everyone own an incubator? 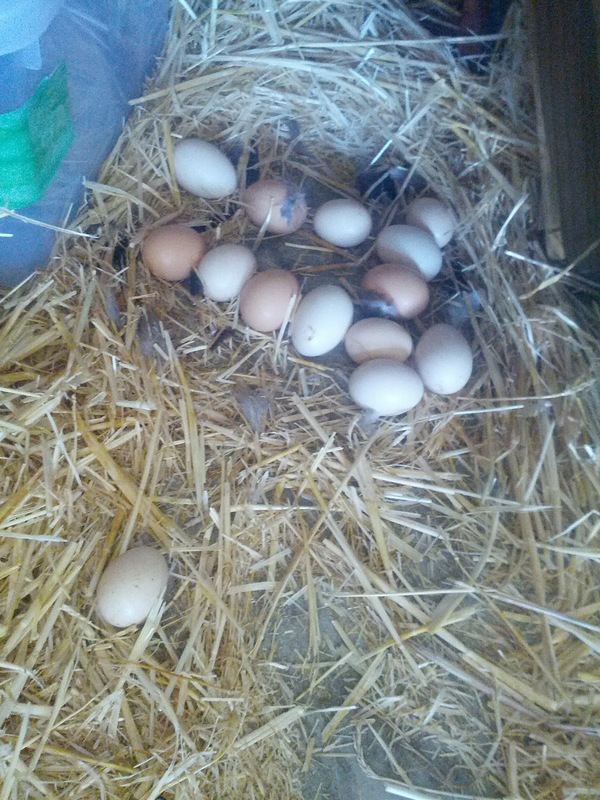 I kept the humidity stable, I maintained the right water level, and I turned those eggs everyday. I candled (just a term incubating experts like myself throw around) them often to monitor their progress and to weed out any duds. I was rewarded 21 days later with the extremely loud pipping (the first crack), hatching and chirping of the first chick, at 1am! The rest of the chicks followed along within 24-36 hours, seemingly the middle of the night was the hatching time of choice. 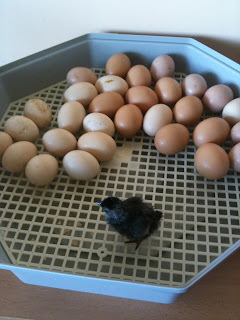 Note to self: Do not keep an incubator filled with chicken eggs next to your bed. We had our hands full. Chicks grow incredibly fast, probably because they are constantly eating, drinking or sleeping. Or.. being played with and placed in lovely castles made out of foam blocks. Tassie Devil caught in the trap we had set for the feral cats. To say we were anxious about what would happen when we tried to release it would be an understatement. To our grateful surprise, it just sauntered off like it gets caught in a trap ever other day. It didn't run, it didn't turn around and go us, it just wandered off into the She-oak forest. 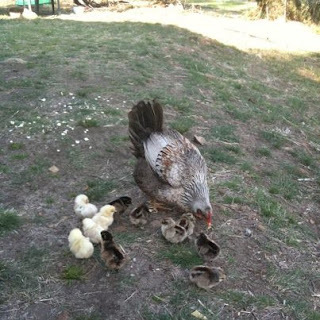 Once she actually got them safely hatched and then prancing around the paddock, only to have them ceremoniously picked off one by one by the Brown Goshawk. We have since made a special enclosure just for hens and new chicks. Unfortunately she is again broody, and once again in a bizarre location. I feel this may be her last chance at motherhood. And I feel like she has once again blown it. Here she is in her new location under an antique mirror in the shed. She often leaves the eggs, and can never seem to sit on them all properly. I will be very surprised if any of these hatch. If I have calculated correctly, they already should have started to hatch, so it's not looking good old girl. One of our newest mothers, and her first chick. This is what Grey Chicken should be aspiring to. I love these photos and the story to go with them. My husband desperately wants to get some chickens, having had them when he was growing up, but at the moment he is too lazy to do anything about some chook housing so it is not happening. We do have quails in our birdcage with the budgies and have had a varied time with them. We've gone through quite a few hens, the only one who has outlived every female quail is the male, Scuttles. He is now almost 4 years old and going strong. The first female we had had two babies. One survived and lived to hatch eggs of her own, the second didn't make it past a week old, being that she was a greedy little bugger and ate so much food that she couldn't digest it and vacate it properly. Quail grave number one. The first female and her surviving baby then passed away a few weeks apart, we don't know why. We then bought Scuttles two new women to hang out with, having read that two was better than one as they get less stressed by the male constantly wanting to do them! They would also take it in turns to sit on the eggs. Three babies were born from this union and two thrived but they rejected one, who we rescued, and tried to hand-rear but she didn't make it and died after a couple of days despite our best efforts. Another two babies then came along and the vicious thing hacked one of the babies almost to bits. Dave ended up having to put the poor thing out of it's misery as we came home aftr being out to find that they had basically pecked away its entire face and feathers. It was horrible and made me hate the quails a little bit. Then we had a mysterious bird die-out, all 4 finches, 1 budgie, and the 4 female quails we had all died one night particularly cold and wet winter night and only the young budgie and Scuttles survived. We got Scuttles a new mate bu he is yet to produce any babies and I don't think she will, she is too lazy to stay with her eggs as much as she needs to. Sorry for the super long comment, your chook just reminded me of our bad luck with quails! Your feathered friends would fit right in here! What a story! It does give me hope.. that we aren't the only ones that seem to have these debacles. Oh I hate crows! They hang around here for the scraps, I think they are also scared of the Goshawk so usually stay away. Tassie devil in the trap was pretty awesome to find! What a great story. We are getting chickens soon and I am super excited! Ah nice, dinner AND a movie! Something tells me if grey hen was a human, she would have a gizillion kids all in the system by now, spread over Australia, and claiming every centrelink benefit available. Is it odd I find it soothing that chicks as well as humans do that? Yep she is a lost cause I think. Oh that's a little sad! Poor Mummy chicken! I love fresh eggs, but have no desire to have chickens- they sound like too much work to me! But you cant beat running out of eggs, and sending a boy out to collect some, then baking cupcakes with it. She really is hopeless, isn't she? I feel sorry for her and her half-arsed parenting skills. She completely stuffed it up! Thank goodness you've been there to help pick up the pieces for her Sophie! I may be the one needing therapy after this, not her! Wow! Are you the chicken rescuer, or what ??! What an awesome story and it would've been so amazing to see all those little eggs hatch! It was really awesome, I was so proud to get such a good success rate, I think it was 24/30 hatched from that batch. what a hiliarious story with a happy ending. It's my dream to own chickens one day so i absolutely loved reading this. I just didn't know chickens layed so many - that's a city chick for you (no pun intended)! Our chickens like to steal each others eggs if they are broody next to each other. They actually roll the eggs with their beaks over to their pile while the other hen goes off to eat. Chickens make the best pets, hope the Grey one soon gets how to be a mummy!